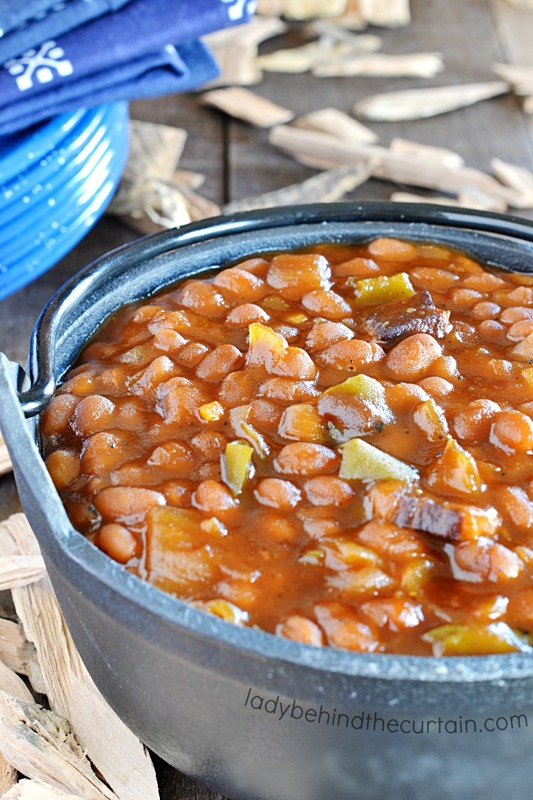 Semi Homemade Smoked Baked Beans | These smoky sweet baked beans hot off the smoker make the perfect side dish for any juicy burger. 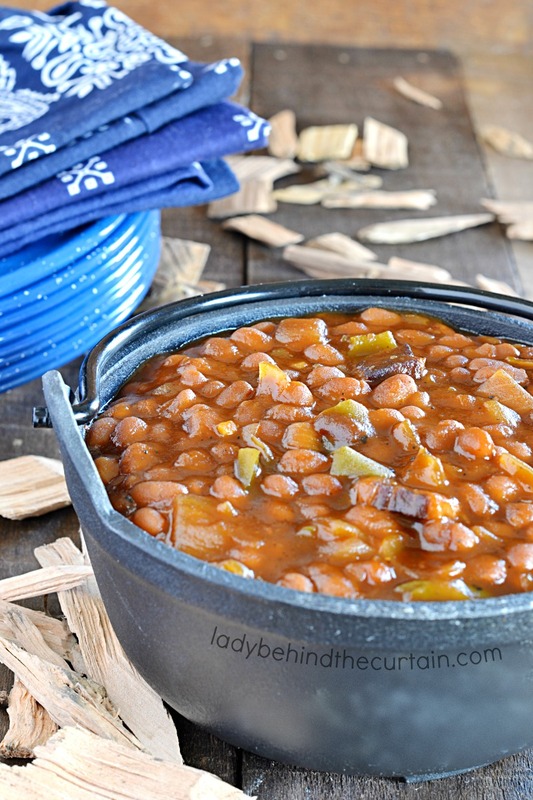 Your guests will never know that this recipe started with canned baked beans! 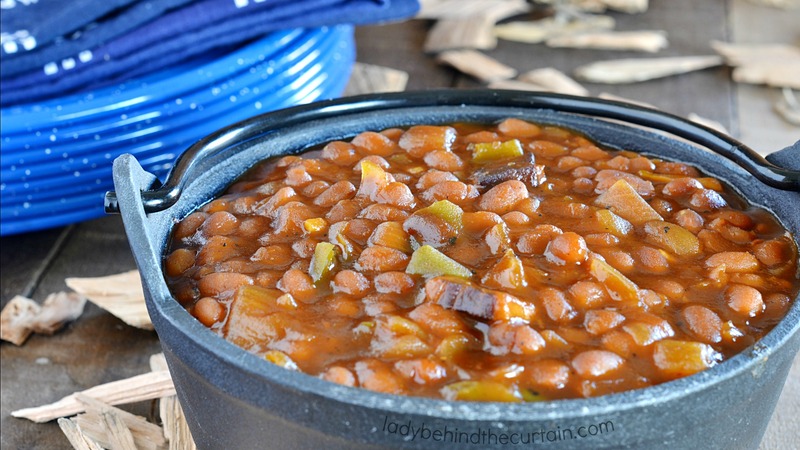 By adding fresh ingredients like onion, bell pepper and garlic along with your favorite barbecue sauce, brown sugar, and barbecue rub you can take a couple cans of store bought baked beans and transform them into something incredibly delicious! These Semi Homemade Smoked Baked Beans will pair perfectly with any grilled or smoked meat even smoked turkey! Click here for the best turkey you’ll ever have—->>>>SMOKED TURKEY. Other choices are PULLED PORK SANDWICHES and CINNAMON SMOKED RIBS. It may be snowing where you live but in Southern Arizona (Tucson) we grill and smoke meat year round. So if this recipe comes to you while you’re busy digging yourself out of a snow storm… either pin it to your grilling or summer Pinterest board or print out the recipe for future use. Trust me this recipe is a keeper! Here’s something to get you in the grilling mood (although I’m thinking if you’re up to your eyeballs in snow you’re already ready for grilling season). 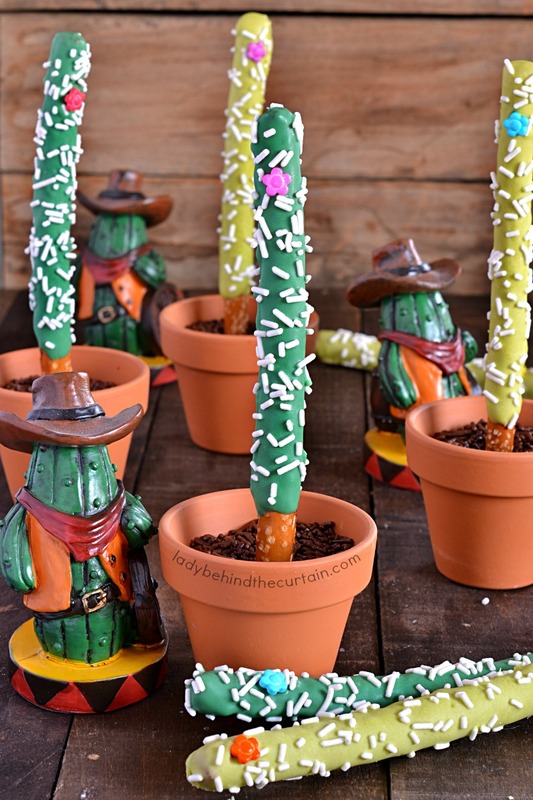 Click here for some fun barbecue party ideas—->>>>WESTERN PARTY IDEAS. Click here for over 50 western themed food—->>>>WESTERN RECIPES. Including recipes like PRICKLY PEAR CACTUS SUCKERS and ROOT BEER FLOAT CUPCAKES! Favorite one DESERT SAGUARO CACTUS DECORATED PRETZELS! To a large pot that can handle high heat ( I used cast iron), add the beans, onion, bell pepper, garlic, brown sugar, barbecue sauce, Worcestershire sauce, mustard, barbecue rub, salt and pepper. Cook uncovered 1 1/2 hours at 250°. Stir, cover with foil and lid, continue to cook another 1 1/2 hours. More baked bean recipes you might like. 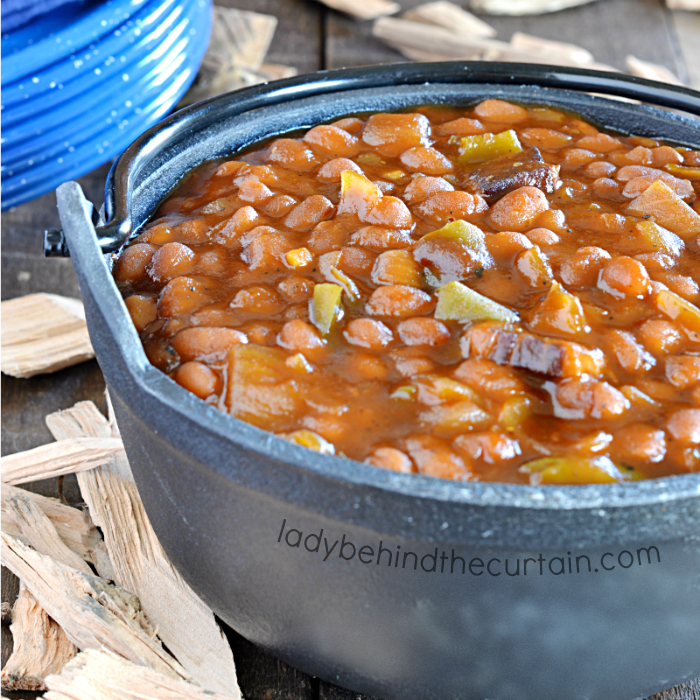 BROWN SUGAR AND BACON BAKED BEANS and INSTANT POT BROWN SUGAR BAKED BEAN RECIPE.